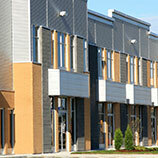 The commercial real estate market is often changing, though usually, those changes are not rapid. We have experienced a period of historically low interest rates that are beginning to rise. At the moment, most commercial rates on 5 year money that I have seen are 5.00-5.5%, where as 18 months ago those rates were much closer to 4.5%. So what? During this same 18 month period, we’ve seen cap rates, slowly fall to very low rates. 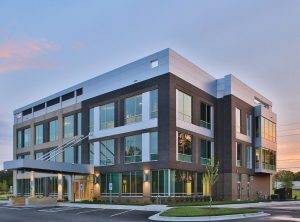 Just last week I was looking at a Northern California bank occupied single tenant property for sale with a 4.25% cap rate. Remember that the cap rate is the relationship between Net Operating Income and purchase price. This is the rate of return the investor would earn, if no debt were used. If an investor bought a $1M investment at a 5% cap rate, this would leave a $50K NOI. Let’s assume in this example that the investor put 50% down and borrowed $500K, and let’s further assume they closed this transaction months ago when interest rates were at 4.25%. Their cash flow would look something like this: $50K NOI, less debt service of $32.5K leaves cash flow of $17,495. This $17,495 would equate to a 3.5% cash on cash return of the $500K invested. Now, let’s take this same scenario, but assume the investor bought this at today’s pricing of a 4.75% cap rate and used debt of 5.25%. The $1M invested leaves an NOI of $47,500. With an interest rate of 5.25%, this results in a debt service of $35,954. Total cash flow $11,545 and the cash on cash return is 2.3%. The drop in cap rate and the rise in rate dramatically impact the cash flow of this investment. A couple points to consider. For transactions to occur, either investor expectation needs to change, Seller’s expectation needs to change, or interest rates need to drop. The latter is not easily done. As a buyer, be patient as some sellers will need to meet the market. As a seller, be realistic about how value is determined by buyers. If you are buying at this time in the market, forecast out over the next few years on how this investment could perform. If your vacancy increases how will that affect you? If the lease rates drop, how will that affect you? Lease rates will not always move upwards over time. Most likely buying in today’s market provides you less margin to tolerate these changes over time. 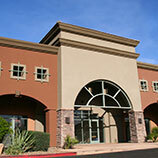 There is a lot to consider with the purchase of Commercial or Investment real estate. 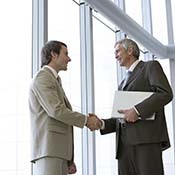 We are advisors, and welcome an opportunity to sit down with you and discuss your plan and goals.